You’re riding the elevator with the hottie you’ve been eyeing in Apartment 12B when he spontaneously asks you to grab a drink downstairs in 15 minutes. As you get off at your floor and fumble for your keys, you not only realize that you have nothing to wear but that you haven’t shaved your legs in days. In a panic, you grab your razor and do one of those “dry shaves,” only to be left with little red bumps everywhere. What a nightmare! If only you had cashed in on your local spa’s painless laser treatment promotion that came to your inbox last week. Then again, the thought of laser treatment is just a mere dream as you calculate the expense, inconvenience and time. What’s a girl to do? Well, Cupid wants to share a little secret with you: there’s now a home laser device that’s simple, quick and clean with minimal set-up required. Silk’n SensEpil is the answer to your shaving frustrations. It takes only minutes for you to get started and you can do it in the convenience of your home. You don’t have to worry about squeezing a laser appointment into your already crazy schedule. And, Silk’n SensEpil covers a larger area of skin than other competitors so an entire male chest or set of female legs can be treated in 15-20 minutes. Yes, you heard that correctly! Worried about spending a fortune? Not with Silk’n SensEpil. Professional spa treatments can cost up to $2,000 for one area, but this device covers all areas of your body for a quarter of the price. And, unlike those conventional laser treatments it’s approved for facial hair too. Wow! Too good to be true? Try it out for yourself. The company is giving one lucky visitor the chance to win a free Silk’n SensEpil laser hair removal system. All you need to do is send us details about your own humorous or horrific hair removal experience here. The contest ends September 23 at 12:00 p.m., so enter now. Don’t miss out on this great opportunity for rapid, beautiful, hairless results. 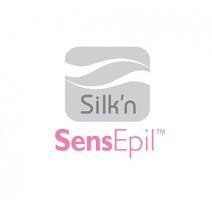 Note: Similar to professional laser hair removal systems, Silk’n SensEpil will not work on individuals with dark skin tones and is not recommended for their use.